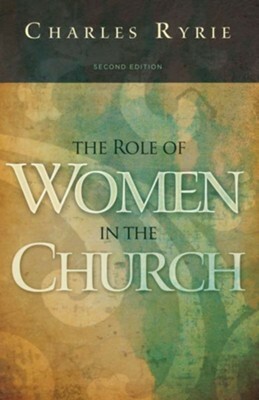 Out of print in recent years, this newly revised edition of Charles Ryrie's The Role of Women in the Church, featuring a new foreword by Dorothy Kelley Patterson, proves its ongoing relevance in addressing what is still a divisive issue at the forefront of Christendom: What can a woman do in the church of God? With clarity and depth, Ryrie recounts the status of women in ancient Greece and Rome. He looks at the significance of Mary as Christ's mother, the attitude of Jesus toward women, and at women as ministers to Jesus. There are Scripture based chapters on marriage, celibacy, and divorce as well as a woman's place in church life. The book's final section examines the status of women in the church during the second and third centuries. In sum, Patterson views Ryrie's work as "a masterpiece of blending both historical records with biblical exegesis to present a well-reasoned biblical answer to the burning question from this generation and those to come." Dorothy Kelley Patterson is professor of Theology in Women's Studies at Southwestern Baptist Theological Seminary in Fort Worth, Texas, where her husband, Paige Patterson, serves as president. She is also a homemaker, popular speaker, and author whose previous books include A Handbook for Ministers Wives, The Family, and BeAttitudes for Women. I'm the author/artist and I want to review The Role of Women in the Church - eBook.